Looking for a poolside refresher? This cocktail has the perfect combination of sweet and tart flavors for a hot summer day. 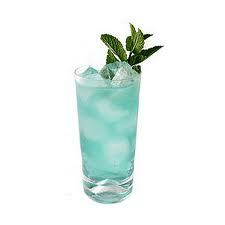 If you want to add even more flavor to the mix, you can crush up some mint leaves and create a Vanilla Sky mojito! I used white cranberry juice when making this drink for a more tart flavor, although you can use apple juice for a sweeter taste. Mix the ingredients in a shaker with ice, pour into a cocktail glass, garnish with whatever you desire, and enjoy! If you just got off work and you have a wild night ahead, I recommend sipping on a couple of these little things while you get ready. You can make them as powerful or light as you’d like. If you’re going on a first date and you want to calm your nerves without getting too sloppy, these can also come in pretty handy beforehand. These cute little shots are ideal for any occasion and are pretty famous in most night club/bar scenes. Say hello to the Adios Mother F*cker! In the mood for something sweet and sassy? Swing by your local bar for one of these bad girls. The Adios mother f*cker makes a great refresher for hot summer days by the pool or beach. You could even prepare a large bowl of it for guests at your gathering or party. This drink definitely packs a kick, so if you’re planning on being functional for your business meeting at dawn, you may want to skip over this one. If you have the day off, I recommend adding a bit of Bacardi 151 as a shooter on top for a really nice flavor blast.